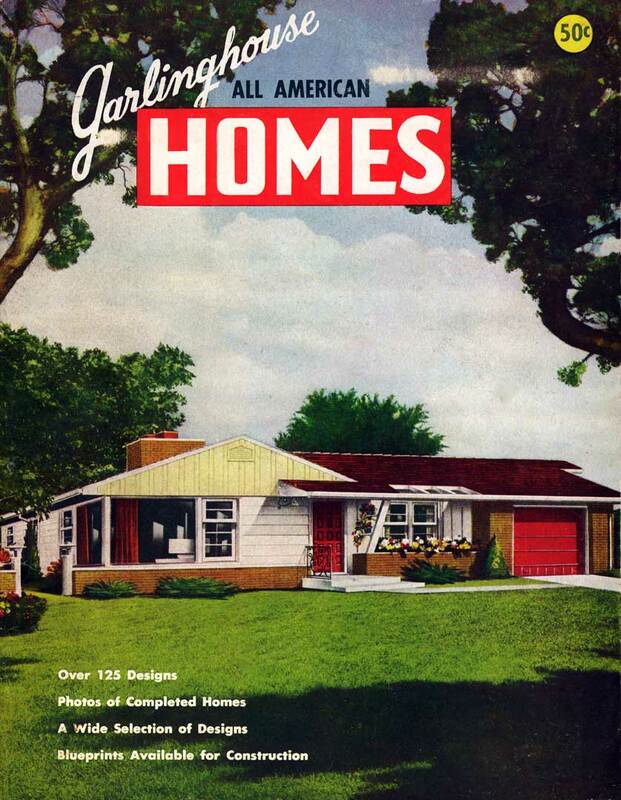 Garlinghouse All-American Homes, ca 1949. I can’t find a date on this catalog of home plans, but the houses pictured scream postwar suburbia: late ’40s / early 1950s. “Suburban living will be at its finest” they promise, and these pages glorify the American mid-century ranch-style house — single story homes pitched long and low with large suburban yards. But look closely and the houses themselves are surprisingly small, at least by modern standards. That bottom one with the dynamic “Y” floorplan actually contains under 1300 square feet. 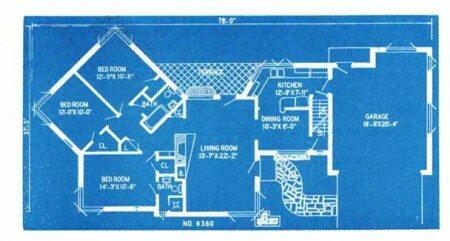 Two beds, two small baths, a kitchen of 13 x 8 feet. Certainly no media room. The family would spend a lot of time on that rear terrace, watching hubby master the barbeque grill. And this was by no means their smallest pictured home. After 110 years, Garlinghouse is still around, still selling house plans by mail and online. Sixty years after this catalog, it seems everything has grown. They have plans for homes as large east 25 thousand square feet (20 times larger than our midcentury example). Purchasing the blueprints costs closer to $1000. 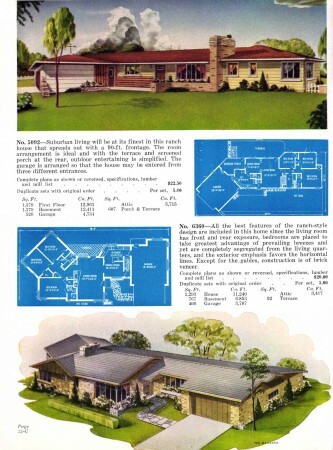 And even the catalogs – (“house plan books” have gone up to $12.50 from 50 cents. Getting a plan book or catalog costs more too $12.50 instead of 50 cents. Everything in America is bigger (and better) than ever! Previous Previous post: Everything new is old again. Next Next post: Hat, wig, or go natural?